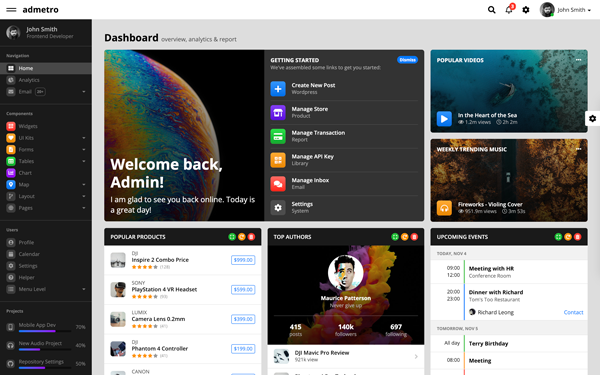 Coda is super flexible, powerful, clean & modern responsive Angular 7+ admin template with unlimited possibilities. Coda is based on a modular design, which allows it to be easily customized. It can be used for all type of web applications like custom admin panel, project management system, admin dashboard, application backend, CMS or CRM. It has clean & commented code, 50+ pages, 20+ unique Angular components, 50+ charts, 50+ advance cards (widgets) and many more. We're constantly adding new features, improving existing ones and taking into consideration customers feedback. 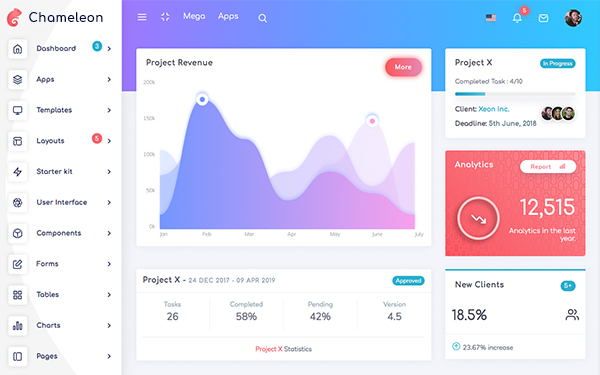 Chameleon Admin is a Modern Bootstrap 4 WebApp & admin dashboard html template with a large number of components, elegant design, clean and organised code. It includes 3 pre-built templates with organised folder structure, clean & commented code, 500+ pages, 100+ components, 50+ advance cards (widgets) and many more. Chameleon admin provides RTL support, unique menu layouts, advance cards and incredible support. 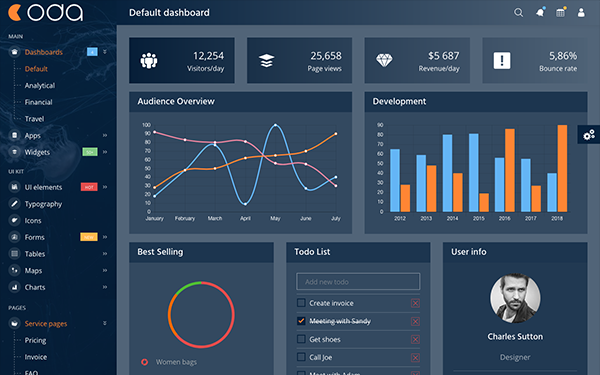 Datta Able Admin Template made in Bootstrap 4 framework for achieve any easy or complex dashboard need. Develop by codedthemes experience team. 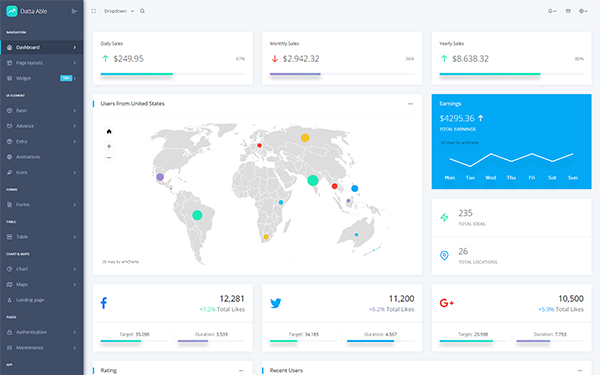 We've made Datta Able dashboard template as completely flexible to use in your project. Explore Datta Able demos which fulfill your need. 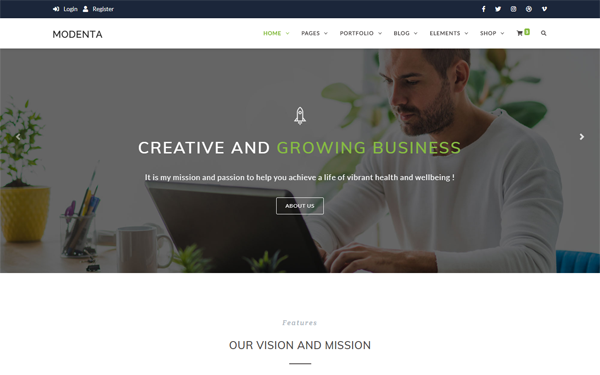 Modenta is a responsive html5 personal blog template, suitable for any kind of blog, personal, fashion, food, travel, photography, publishing or tutorial blog sites. This template is written in valid and clean HTML & CSS3 code. You can choose from 5+ homepage layouts and find the best one to share your stories. It’s easy to customize and also well documented. 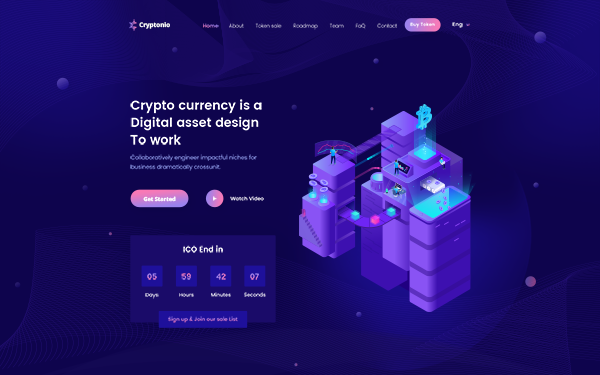 Modern and elegant landing page HTML Template, build for ICO Agencies and digital bitcoin & cryptocurrency investment website. Cryptonio will help effectively channel the traffic generated by marketing campaigns and present the information in an attractive and functional environment. This template is perfect if you plan to launch an ICO Campaign or Create your own exchange. We have added a bunch of informative sections like Intro section, About us section, Whitepaper section, Roadmap section, Team section, Tokens with Countdown section, Contact form. Septosha medical, health and care template is a fully responsive and with working functionality. 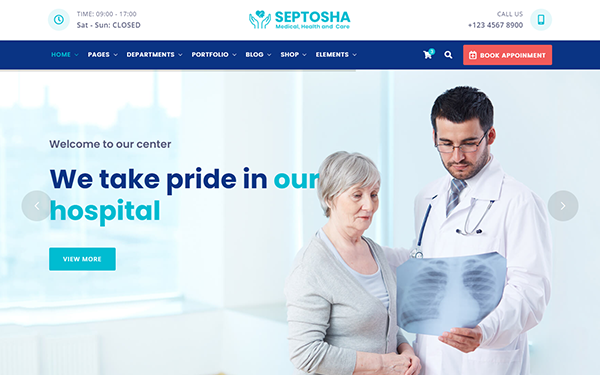 Septosha template is highly suitable for medical, hospital, clinic, dentist and any type of health and medical center. They have special features like appointment forms, working contact form, timetable, department and more pages. 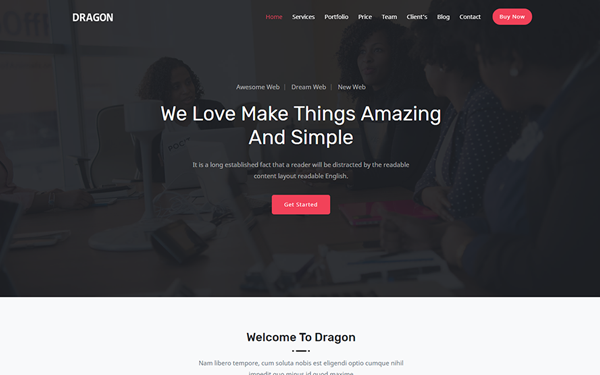 Dragon Parallax One Page Template is a perfect template for Business Startups, web studio and creative agencies. 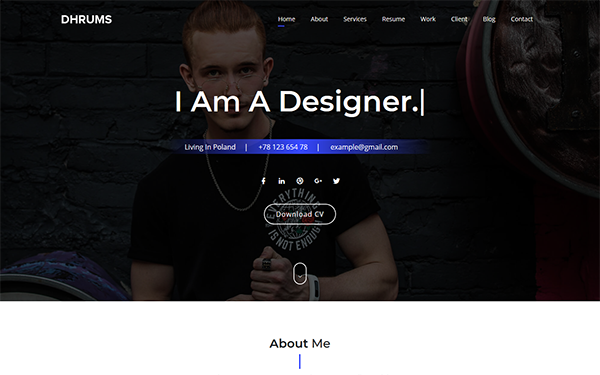 Responsive based on Bootstrap 4.2.1. This is one page for placing your information. All files and code has been well organized and nicely commented for easy to customize. 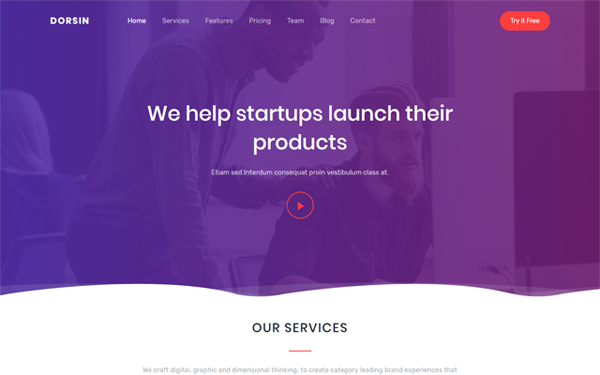 Dorsin is a multi purpose, business & startup HTML landing page template. Dorsin is built with most popular frontend framework Bootstrap version 4.2.1. It would be perfect for an app product showcase, startups, personal websites and even web agencies. You will be easily able to customize it for your needs.